Happy Fall, y’all! It is no secret, fall is my favorite season. I love almost everything about this time of the year (the weather, fashion, scents, etc.). I am always so inspired by all of the changes this time of the year brings. 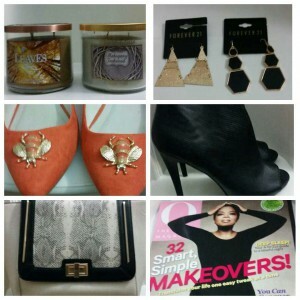 So… I decided to start a new series (Fall Faves) explaining some of my favorite items for fall. First up are nail polishes. Let me know what your favorites are. 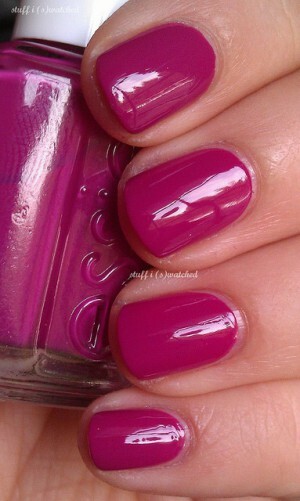 essie- Big Spender. This is described as a lush red-violet cream color. I am not sure what that means but what I do know is this color is simply gorgeous! Sinful Colors- Nirvana. Anyone that knows me know that I love neutrals. I really couldn’t think of a more fitting name for this polish. It’s is simply nirvana. Revlon-Espresso. This is the quintessential brown color. 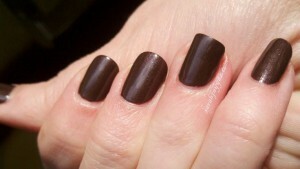 It truly is a rich espresso color that will compliment women of any color. Sinful Colors-Midnight Blue. I love this color! I am a little biased though (blue is my favorite color). This is a deep royal/ midnight blue. It’s simply beautiful. OPI- Give Me Moor!. This color is very vampy eggplant color. It is from the 2009 Espana collection. Any black nail polish. Black nail polishes are always in (in my opinion). There is something very edgy yet chic about black nail polish.